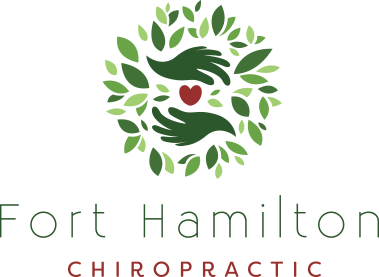 Liam was a seven-month-old infant brought into Fort Hamilton Chiropractic by his mother. She was at the end of her rope in finding solutions to help the health of her baby boy. Liam had been on “grown up” medications since the day he was born for GERD, a gastric reflux disease. Every day, Liam was vomiting, unable to keep food down and wasn’t gaining weight or thriving like we hope to see in infants his age. She drove from a half-hour away to see us after looking at our website and deciding chiropractic was worth a try to help her son. We checked his spine and gave him the appropriate, gentle care for an infant. After that first adjustment Liam was vomiting 80% less. The next day, Liam and his mom visited the pediatrician. She explained that she took her son to see a chiropractor and the pediatrician advised her that chiropractic wouldn’t help. Even after sharing Liam’s improvement after one visit and suggesting he refer other patients with this condition, the pediatrician still did not believe it was chiropractic that helped. Mom knew the truth and believed chiropractic was the care Liam needed. After two weeks of care and seeing us three times each week, Liam had no more vomiting and no more reflux problems. A year later Liam’s father reports that he is in continuing to gain weight and in perfect health thanks to the chiropractic care he has received with us. The care Liam received is a great example of how chiropractic can help. Even when others may not believe, we want to encourage you to give it a try and choose for yourself!